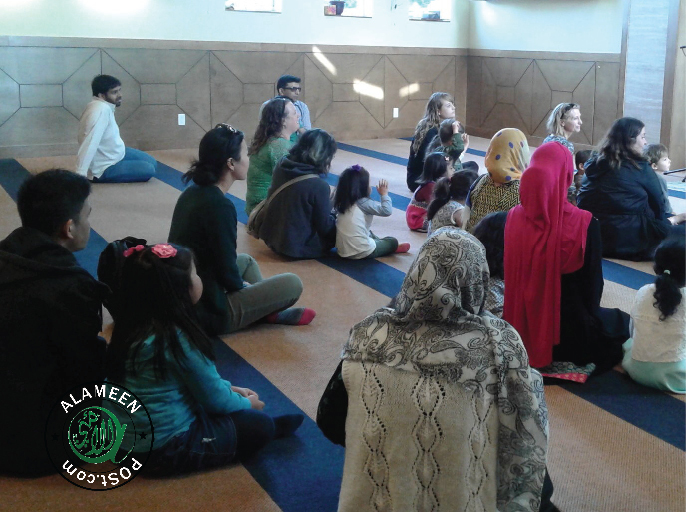 On Thursday May 31st, 2018 VIFI organized an exciting 2-hour tour at the Masjid for the Cloverdale Preschool students. The Msajid had close to 30 visitors including the Preschoolers, parents, and teachers. The tour began with a welcome note and brief introduction of Masjid Al Iman followed by an interactive presentation about the five pillars of Islam by Imam Ismail Nur in the main prayer hall. The tour continued with creative activity stations in the basement for preschoolers on the theme of 5 pillars of Islam with Ramadan being the highlight. Other activities also included preparing name tags in Arabic, experiencing Hijab for both parents and kids, and crafting for parents. The tour ended with an imitation Iftar for the kids. Special thanks to the dedicated volunteers, VIFI teachers and the Imam for their support in making this possible.